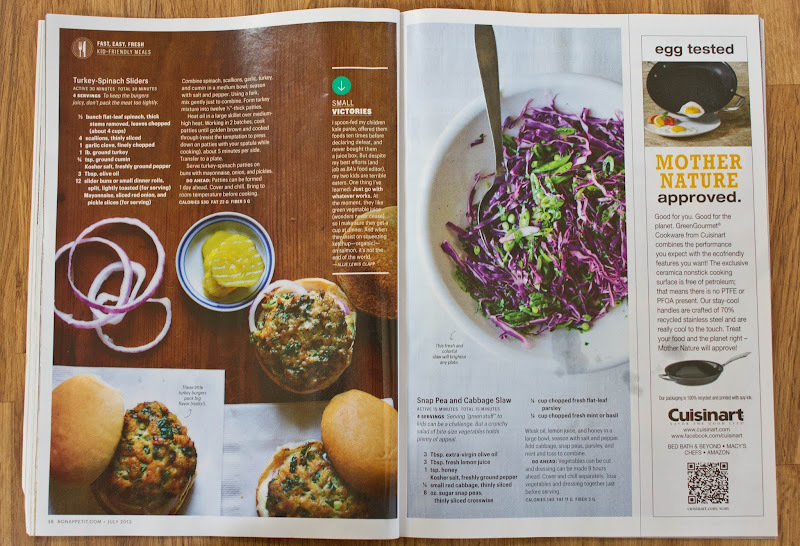 Not sure if anyone noticed my subtle protest, but I'd taken a bit of a hiatus from attempting recipes from Bon Appétit, the magazine that had previously oft inspired me and even had quite a hand in spawning this blog in the first place. Not to beat a dead horse, but basically, it felt to me like Bon Appétit had taken a marked, Internet-y, style-over-substance turn. The articles got shorter and less relevant to me. Pseudo-food-related celebrity interviews became standard. Tweets got their own section. And some of the page layouts looked, well, spastic—as if they were screaming for my attention (if I could just have 30 seconds of your time, ma'am!). And given that Andrew Knowlton now has his own section for ranting, I only sort of feel bad for being so openly negative about the magazine's reboot. But, as they say, time heals most wounds. 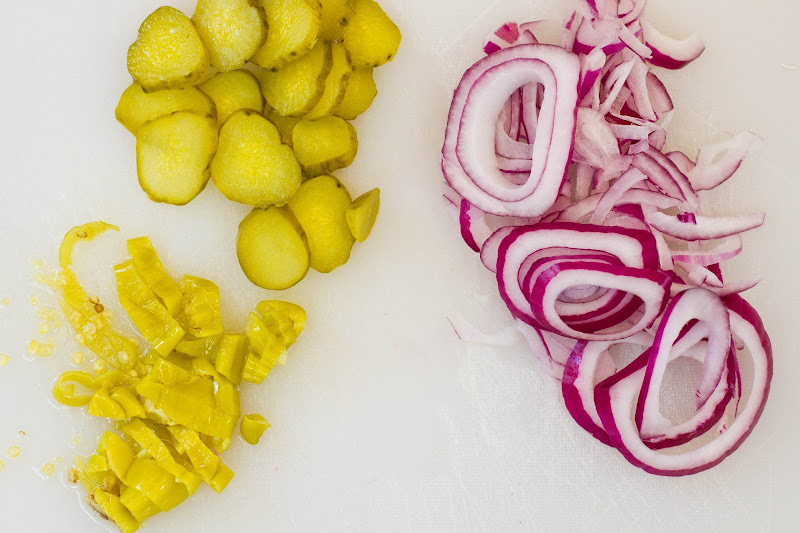 So, Bon Appétit can't be my place to go when I'm Internet-overloaded and want to read a thoughtful, winding (read: over 1k words), food-focused essay; it still can, however, supply beautiful photos of some great-sounding recipes that occasionally inspire me to cook. 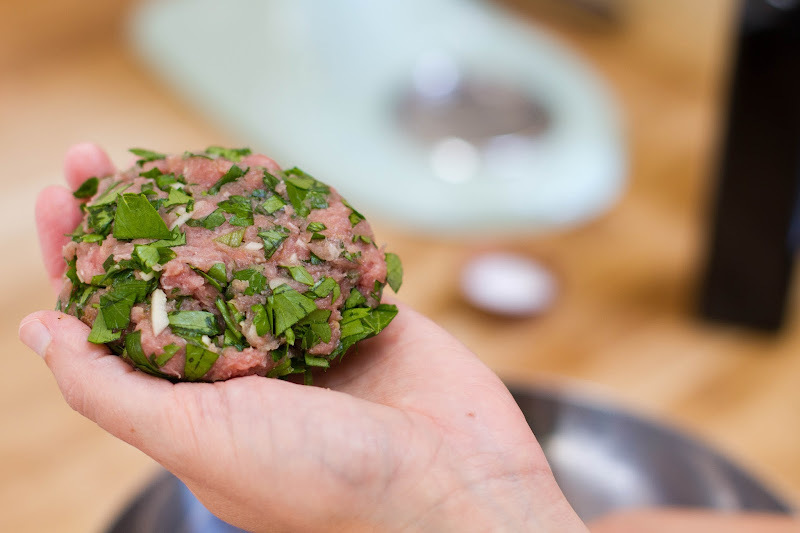 Like this one for turkey burgers. (See their photo up there? So pretty!) Their version actually calls for sliders and uses spinach instead of parsley, but I didn't have slider-sized hamburger buns and I prefer parsley over spinach (any day, all day); so, I made a few tweaks. Matt and I attempted these as part of our Independence Day dinner and I must say that they really fit the bill. We don't cook a ton of meat around here, let alone burgers, so they felt both special and indulgent without being, typical-burger-level indulgent. 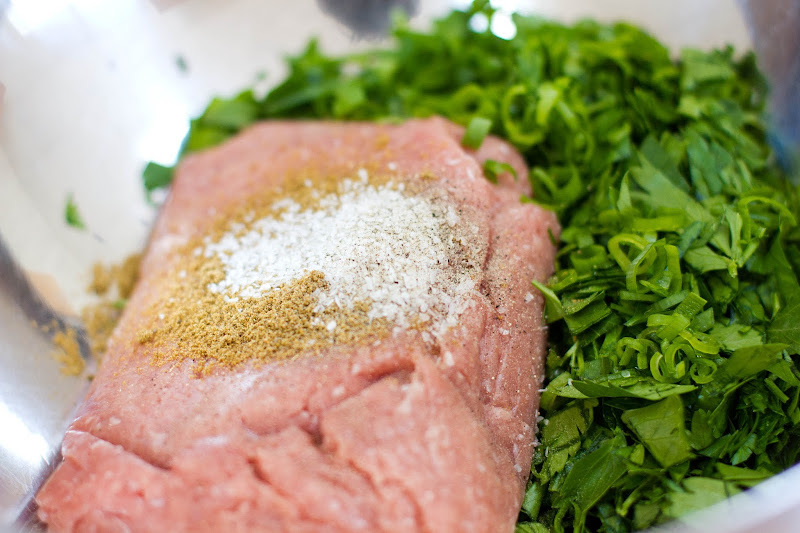 Combine parsley, scallions, garlic, turkey, and cumin in a medium bowl; season with salt and pepper. Using a fork, mix gently just to combine. 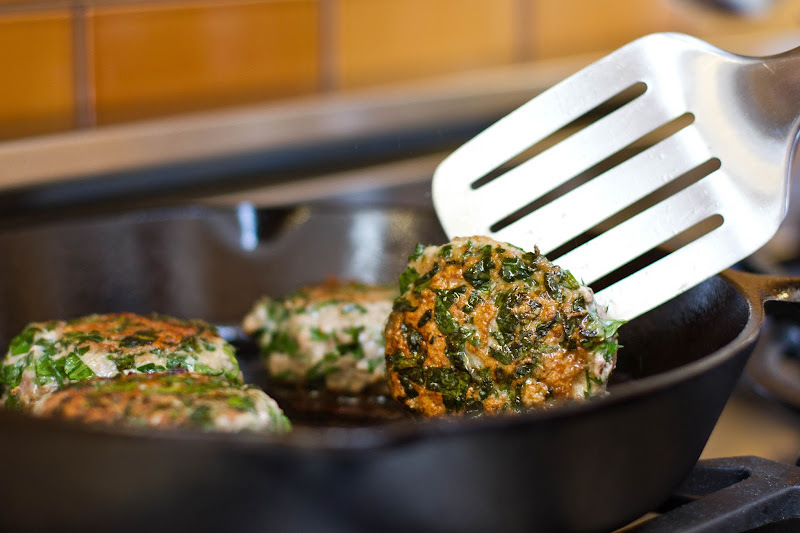 Form turkey mixture into four 1 1/2-inch-thick patties. Heat oil in a large skillet over medium-high heat. Cook patties until golden brown and cooked through (resist the temptation to press down on patties with your spatula while cooking), about 8-9 minutes per side. Transfer to a plate. 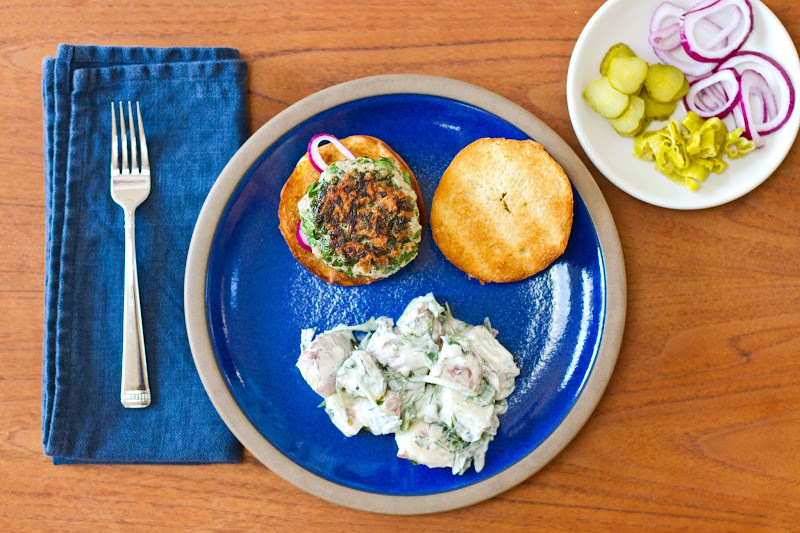 Serve turkey-parsley patties on buns with mayonnaise, onion, and pickles. These burgers were really awesome. How long until Gourmet comes back?? This post made my stomach growl! Nice job!! Oh Yum, these look like tasty burgers. And I can't help but agree about Bon appetite. All things must pas, I guess. Not to beat a dead horse either, but I'm even getting bored of BA's pretty photos. Can they do anything other than straight overhead shots?? Please? Just once? 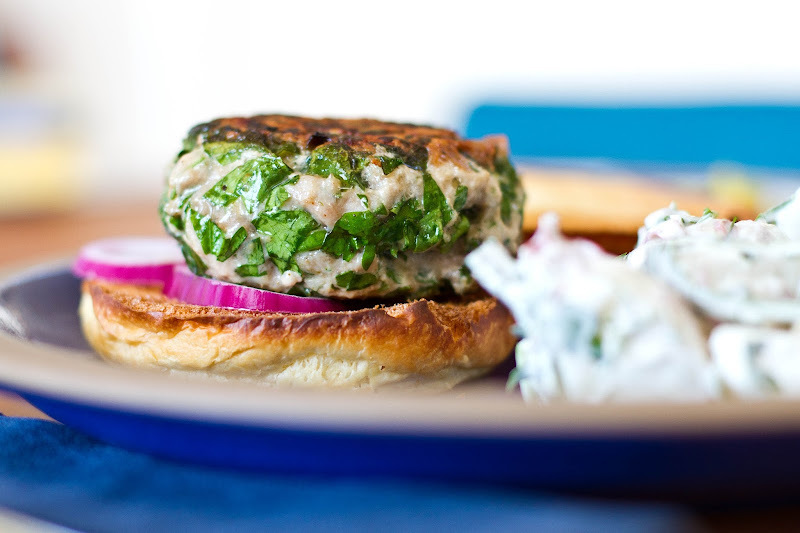 However, these burgers do sound delish, especially with your parsley modification! I agree about BA. I knew they'd jumped the shark when they interviewed a fashionista who DOESN'T EAT SOLID FOOD. Literally the Q&A was about her mostly liquid diet. Felt like I was taking crazy pills. Beeeautiful! And I just had the same conversation about BA with my mom yesterday. But at least you got these gorgeous burgers out of it!! Totally hear ya! I mean that interview would've fit in with any number of other magazines, but why put it in a FOOD mag?! I picked up BA for my flight home from AZ and was kind of pleasantly surprised. I also bookmarked these burgers, and I'm glad they were a hit! I am surprised, though, that you didn't choose kale. It's like you hate health, Amelia. Effusions of parsley! Love this. Thanks! I was a late viewer to your blog, so I didn't know this is where the name came from. Cool concept, but sorry you're not as into your inspiration magazine as before. These burgers look delish! Turkey burgers are the greatest! Well, turkey and lamb are actually tied for best burger in my bok, but still. 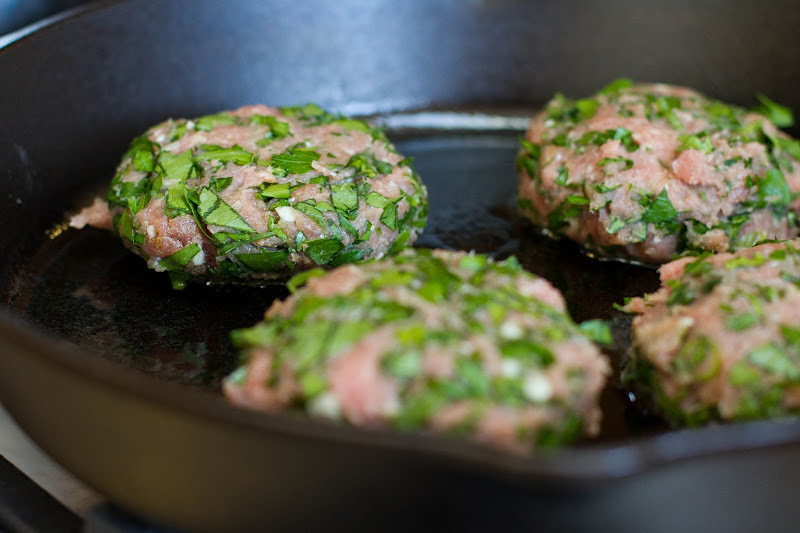 :) I love the idea of packing these burgers with lots of delicious herbs. Made these! Mixed the turkey with lamb. Used tons of parsley as per your genius suggestion. SO GOOD! 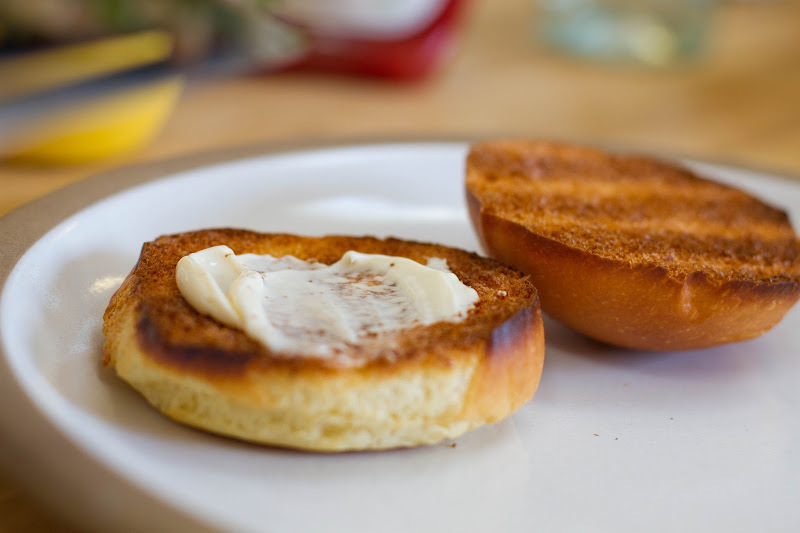 I go back and forth with BA, but still some of my favorite recipes of late are those that come directly or are inspired by their pages. This one caught my eye, but now I definitely want to try it out - lovely photos as always. Good writing and good food both require entering a different, slower sense of time. You're right: tweets just don't seem to fit. Yum yum yum!! Was needing a meat AND a parsley recipe (don't say meat recipe) - perfect timing, as usual. Happy Independence! Happy Parsley season! Couldn't agree more about BA! I haven't made a recipe out of it in months and don't find it as inspiring as I used to.